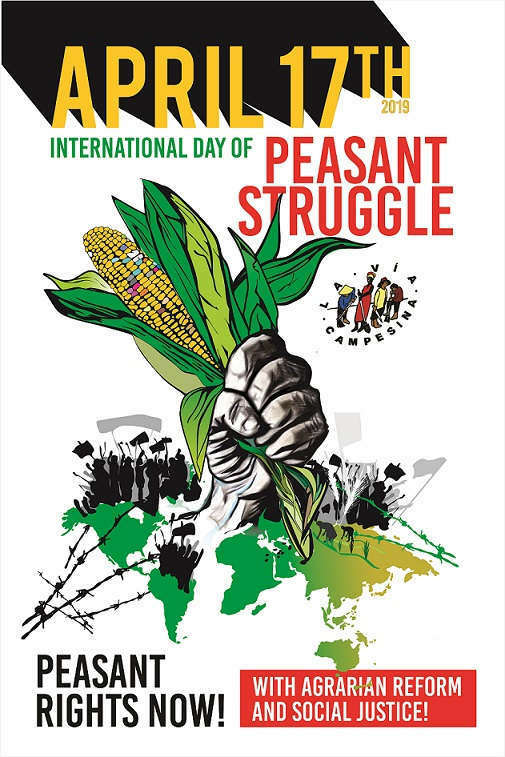 La Via Campesina is the international movement which brings together millions of peasants, small and medium-size farmers, landless people, women farmers, indigenous people, migrants and agricultural workers from around the world. La Via Campesina comprises about 164 local and national organizations in 73 countries from Africa, Asia, Europe and the Americas. Altogether, it represents about 200 million farmers. The CETIM supports La Vía Campesina since 2001 in its efforts at the UN in favor of the rights of peasants. The Global Campaign to Dismantle Corporate Power and Stop Impunity (Global Campaign) is an international network comprising over 200 social movements, trade unions and organizations, representing victims and communities affected by TNCs in the Global South. It is coordinated by the Transnational Institute (TNI). The CETIM supports the Global Campaign since 2013 in its efforts at the UN to end the impunity of transnational corporations. The Committee for the Abolition of Third World Debt (CADTM) is an international network made up of around thirty local organizations based in Europe, Africa, Latin America and Asia. The CADTM is one of the principal networks working on the issue of debt at the international level, and in particular on its impact in countries of the Global South. Its numerous publications, analysis and proposals are a reference in the field. The CETIM supports the CADTM since a number of years for the access to the UN human rights protection mechanisms. The Committe for Peasant Development (Comité de desarrollo campesino – CODECA) is an organization representing peasants and agricultural workers in Guatemala that defends the rights of peasants, social justice and better living conditions in rural areas. The CETIM supports CODECA since 2008 to access the UN human rights protection mechanisms. The Union of People Affected by Texaco-Chevron in Ecuador (Unión de afectados por la petrolera Texaco-Chevron en Ecuador – UDAPT) represents 30’000 victims and leads the struggle to hold Chevron responsible for one of the worse environmental disaster ever. The CETIM supports UDAPT since 2014 to access the UN human rights protection mechanisms. The Foundation for Studies on the Application of Law (Fundación de estudios para la aplicación del derecho – FESPAD) in El Salvador defends the communities in resistance against Oceana Gold’s mining project in the Cabañas region and campaigns so that the company drop its lawsuit against the government of El Salvador at a World Bank’s arbitration tribunal. The CETIM supports the FESPAD since 2014 to access the UN human rights protection mechanisms. The Alliance Against Mining (Alyansa tigil mina – ATM) in the Philippines defends the 20’000 peasant families and 2’000 indigenous people families (in total over 100’000 peoples) threatened by the Glencore-Xstrata open-pit mega-mining project and victims of multiple human rights violations. The CETIM supports the ATM since 2014 to access the UN human rights protection mechanisms. Tiako-I-Madagasikara is an organization that defends the rights of peasants and rural populations in Madagascar, especially in the south of the country, that the CETIM supports since 2009 to access the UN human rights protection mechanisms.